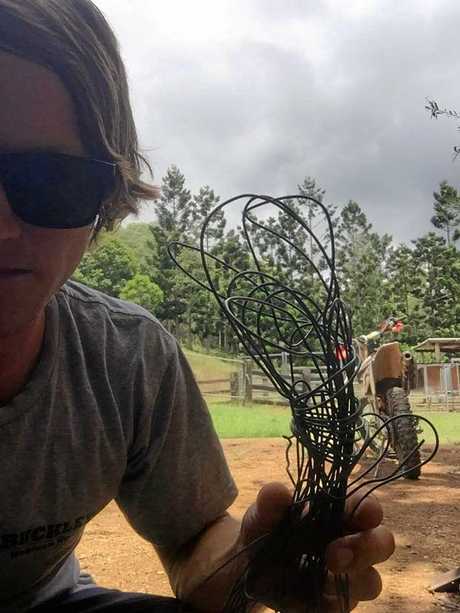 A WIRE mantrap capable of decapitating motorcyclists gave Langshaw resident Ben Bird a horrifying brush with injury when he crashed into it while riding in Amamoor State Forest on Tuesday afternoon. 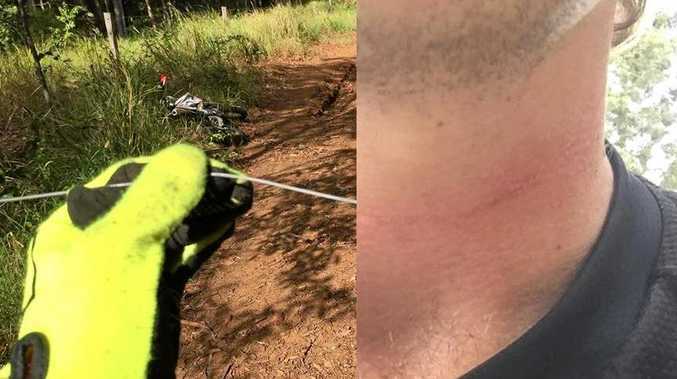 Checking fencing on an adjoining paddock, the cattle property caretaker was riding on the well-used public track when he was struck around the neck by the trip-wire, jerked upwards and thrown from his bike. 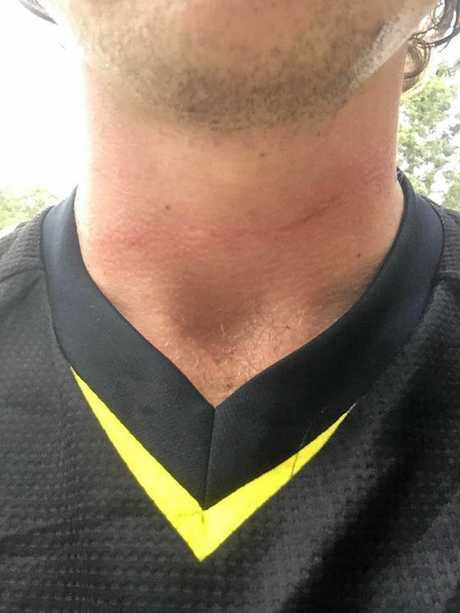 Even at the low-speed of 15kmh, Mr Bird had not seen the razor-thin tie strung between two trees, just one kilometre from the Gympie Music Muster site. The crash left him with grazes to the neck, but also the chilling thought of what would have happened had it been the weekend when the motorbike adventurer rides at faster speeds on the track with friends. 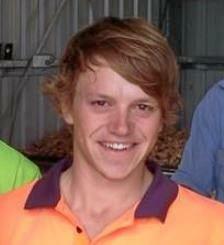 "I only just took off on the bike and I was looking at the fence line," Mr Bird said. "When I ran into it, it jerked me off the bike, and I fell down. "Lucky I wasn't going too fast or it would have been game over." 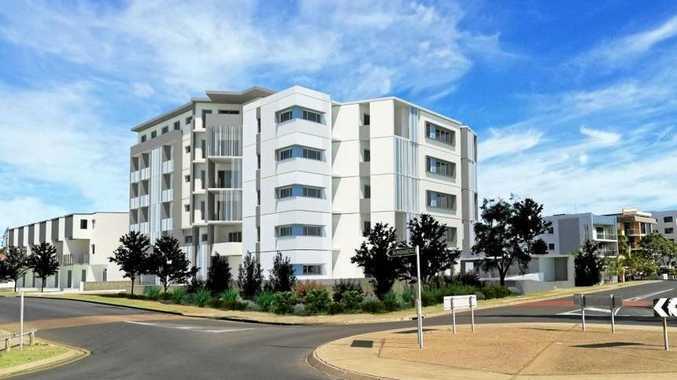 Imbil police acting sergeant Bill Greer said while the act was not common in the region it was a very worrying one and those responsible could be charged with "setting mantraps" and face up to three years imprisonment. "It is a pretty major concern, it would be easy to decapitate someone," he said. 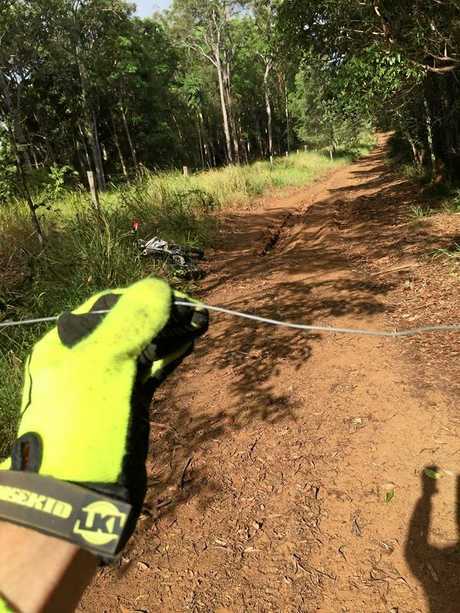 A similar incident involving a motorcyclist and a barbed-wire fence erected across a roadway in Amamoor State Forest years ago had caused serious injury, while more than two decades ago a motorcyclist was killed in Maryborough when he ran into a wire trap, Sgt Greer said. "It has the potential to kill and it does and has happened. "I have no doubt if you caught it just under the helmet it would decapitate instantly. "The reality is if you kill someone, you could be up for homicide," he said. 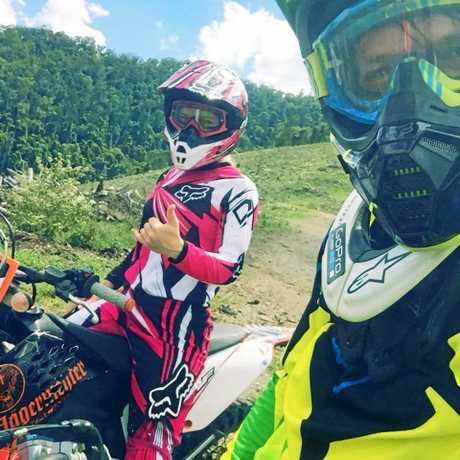 Sgt Greer, who is jointly investigating the incident with Queensland park and Wildlife, said the motive would unlikely "be for fun" but rather out of frustration over people using the public track that abuts private property. Mr Bird shared his experience on social media, alarming readers enough to share it more than 7500 times and entice 2600 comments. Many described the act as sick and disgusting, while some knew people who had been injured by crashing into similar traps. The 25-year-old motorbike enthusiast, who had been riding since he was five, said the sport was now tarnished. "I will constantly be worrying about it," he said. "I feel very luck, but very uneasy."